Kudos to Michael Perkins over at Greater Greater Washington: from his efforts and many, many other Metro riders, WMATA is finally going to release schedule and routing info into the open Google Transit Feed Specification format by March 23. They announced this last night at the DC Council oversight hearing for WMATA. 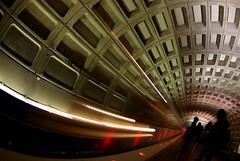 Pingback: We Love DC » Blog Archive » Google Traffic Upgrade!